The rooftop P-Patch known as UpGarden came about by necessity. 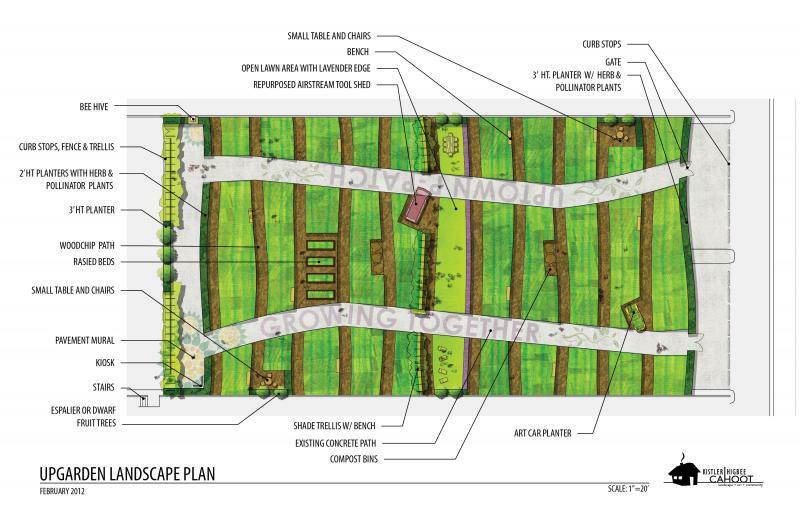 In 2008, a voter approved parks and green spaces levy specifically called out the Queen Anne neighborhood for a new community garden. But Lower Queen Anne, where the city wanted to put one, is so densely populated, says Seattle’s P-Patch coordinator Laura Raymond, it was a struggle to find a suitable spot. But there were several parking garages. And one of the largest ones is owned by the Seattle Center, which was looking to demonstrate sustainable futures as part of its 50th anniversary celebrations. Rosen says it was a perfect match and put the planning on a fast track. In just 6 months, UpGarden came together, just a few blocks north of the Spaceneedle at 3rd and Mercer, with cars still using the space below. One of the toughest design challenges was structural. It turns out saturated soil can be heavier than parked cars, so they had to create raised beds and put in wide walkways to keep from exceeding weight restrictions. There’s also a beehive, compost bins, an Airstream trailer that’s been re-purposed as a tool shed and a whimsical art car planter. But there’s still enough space for nearly 120 garden plots. Susan Costello has worked more than 100 volunteer hours to earn one. As an apartment-dweller with no balcony, she’s excited to get into gardening. But more than that, she loves the community they’re growing. All the volunteer hours helped keep the budget to just $150-thousand dollars. UpGarden is temporary, because Seattle Center’s master plan calls for a tear down of the garage it’s on in the next 3-5 years. But the city says the lessons learned designing it -- and the community it’s built -- will pay off for future projects.